Ski deals can be found in any one of three or four seasons in which snow is present. There are the times early in the year and near the end of the season when conditions are iffy, skiers are scarce and deals abound. There are weeks when the crowds are larger; beyond that is peak season, when you'll pay top price for everything from lift tickets to your ride from the airport. To make matters even more complicated, dates for these seasons vary greatly by location. Try to time your trip to fit with your budget needs. Skiers with flexible schedules make it down the hills with lower tabs. Here are a few ski advertised deals for the remaining season. Note the expiration dates and other fine-print details carefully. Please remember that these are only recommendations for starting points in your research, not endorsed travel products. You could spend the whole winter visiting different Colorado resorts each week and still miss many of the great slopes they offer in the Centennial State. Just considering all the possibilities is mind-numbing. Gunnison-Crested Butte offers a web page with a roundup of lodging deals. A Keystone Kids Ski Free is available for this well-known Colorado resort. It applies to all children 12 years of age and under for both ski and snowboard access each day. There's no cap on the number of children per family and no blackout dates -- the offer is also available on weekends and holidays. Vail Destinations allows you to browse properties according to the room you want: cabin, condo, hotel, lodge, etc. A two-bedroom property is listed here at $235/night. Split four ways, that's an example of an affordable Vail address. Unfortunately, deals such as that are more the exception than the rule. Huntley Lodge in Montana offers a the Early Bird Special, with 35 percent off your nightly rate when you stay in the Huntley Lodge on select dates in December, January, and April. To the north at Jackson Hole Resort in Wyoming, you can book four nights and three days of skiing from $785/person with airfare from Denver as well as taxes and fees included. The offer is valid until April 5, with taxes and fees included. Squaw Valley, California near Lake Tahoe gives college students the ability to buy a "Tahoe Super Pass" starting at $519 (with age-related discounts available). Although it's good for the season, there are some blackout dates. They also offer mini-snowmobiles for children ages 6-12. The Inn by the Lake offers package prices starting at $215/person for a single queen room, based on double occupancy. Skiing and snowboarding at Sierra-at-Tahoe. Package is valid from Jan. 1 through the end of the season. Bear Valley, California (between Yosemite and Lake Tahoe) offers a selection of passes, including special incentives for 5th graders, high school students and college students. Closer to Los Angeles, Mammoth Mountain offers Lift+Lodging Packages for stays of two or more nights slope-side at the Mammoth Mountain Inn, and one lift ticket per day for each guest on the reservation. Discounted Lift and Lodging rates are also available at Juniper Springs Resort, The Village Lodge, and Tamarack Lodge. Deals start at $129/night for lift and lodging. Alaska Airlines ski trip offers connect with ski areas in western sections of the U.S. (including Alaska) and Canada. Ski.com claims to be North America's largest provider of mountain vacations, and therefore might offer some volume discounts. You can find fifth-night free and 25 percent discount promotions here, especially for early- and late-season stays. GetSkiTickets.com specializes in discount lift tickets in the U.S. and Canada. Simply submit your dates of travel and a region. The database reveals possible discounts. Skiers rave about conditions at Whistler, but they don't always rave about their expenses after returning home. Deals are there if you look for them, and a good place to start is the Whistler special offers page. Discounts in the 15-35 percent range are offered at various lodgings. Allura offers vacation rentals for $110-$265/night in the surrounding area. They claim it's possible to bypass the expense of an agent by booking rooms and even lift tickets with them. They also offer deals for other Canadian ski areas. Another resource is About.com Canada for Visitors, which offers a list of major ski resort links. If you're looking for a U.S. ski destination east of the Mississippi River, don't forget about Michigan. Shanty Creek near Kalkaskia in the northern Lower Peninsula offers packages starting at $83/night that include room and lift tickets. New England offers a variety of top-tier resorts, including Stratton Mountain. Among the offers: one night starting at $199 for two people at the Lift Line Lodge. Joining the Stratton Trailblazers Ski Club offers those older than 50 some additional discounts. At Killington, book a four-day Discovery Programs offer that includes a two-hour lesson, rental equipment and a lift ticket each day for $299. .
Golden Arrow Resort near Lake Placid, N.Y. offers a midweek package that allows stay-and-ski for three nights, but only pay for two, with breakfast included. The offer is only available for arrivals on Sunday, Monday or Tuesday. Snowshoe in West Virginia offers last-minute specials worth checking if you'll be in the area. Don't miss About New England for Visitors and its ski deals list by state (includes New York). Slovenia might not be the first place that springs to mind when you think skiing and Europe, but some say the sport was invented here. Check out Ski for Free in Kranjska Gora offers that are good through Mar. 16. SkiEurope.com offers a series of packages that allow you six nights starting at $1,498 USD for Andorra, Austria, Bulgaria, France, Germany, Italy or Switzerland. Most of the offers here include airfare from New York, transfers, hotel and daily breakfast. Lift tickets are usually extra. Europe Mountains offers a great planning resource for resorts across the continent. You're likely to see a number of flash-generated last-minute deals here, so skiers with flexible schedules bound for Europe might benefit the most here. Prices are quoted in Euros. These links are only a few starting points for your ski deal searches. There are many more out there. 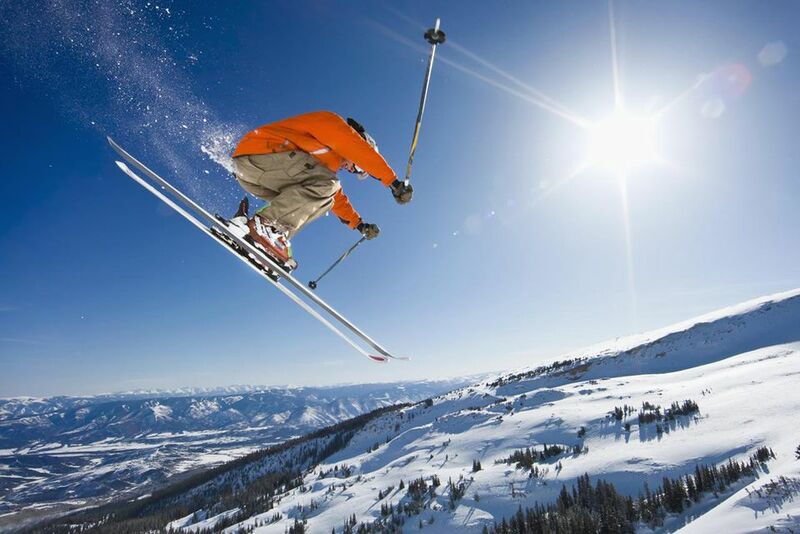 About.com Skiing offers a comprehensive directory of U.S. ski sites. You'll also find a great list of tips and strategies for spending your ski money wisely. About.com South America for Visitors offers information for those who would like to ski from June to October. We have 10 reasons why you should visit Yellowstone in winter! Looking for the best snowmobiling in North America? Here are our picks!